A bespoke aromatherapy perfume may well be your ultimate investment. Just think for a moment about the influence that perfume holds. A scent not only entices you into thinking, feeling and being almost a new person, but can draw those around us into the fantasy. Spellbound. Powerful and in charge of your own destiny. In fact anything you dare to dream to be. Set apart from all the rest. The instant you spray from that magical bottle you feel more alluring, exude desirability. As your confidence soars, you unveil a siren, in charge and unobtainable. Impressive stuff, dont you agree? Best be careful to use it wisely! So surely perfume is just perfume? In fact most of them are made by the world's greatest designers so what sets a person who chooses aromatherapy perfume apart? A valid question and one best answered with a cautionary tale. All the best stories are, aren't they. Picture the scene. The dressing room of a woman ripe with anticipation of her date. There have been the customary three dates before and this one promises to be something extra special. So far the conversation has been that perfect balance of witty repartée and double entendre. His choices of both food and venue have been impeccable, as have his manners and etiquette. Each evening the glances have been getting longer and more lingering and tonight without doubt will be something to remember. She looks beautiful, her hair carefully done, her make up striking but subtle and the silk shift dress on the hanger has been carefully chosen to accentuate the stunning curves of her shapely figure. She looks at the clock, suffucated by how long time takes to pass untill she will see him again. As she slowly and deliberately rolls up her stockings and fastens her lace underwear, she subtley dabs on Chanel No5. Just an aura of scent. Something his Ex wife wore the night she cheated on him. Is Off The Shelf Perfume Just Too Common? I have many bottles of perfume on my shelf. Coco, Lulu, Poison (although the above story stopped me wearing that one, although my nemesis wasn't the ex wife, it was his maths teacher!) Echo, to name but a few. Buy me a perfume and I shall be over the moon. 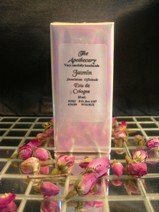 But when it comes to being SOMETHING DIFFERENT, then it has to be a bespoke aromatherapy perfume blend . Something Original, Something Enigmatic, Something That Makes People Sit Up And Take Notice. Aromatherapy perfume is a definite statement about who you are. Someone who dares to stand out and insists on quality. She is the woman who not only recognises Philip Treacy hats, but she probably has one. 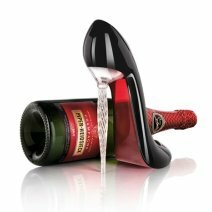 If your idea of heaven would be to totter about in Christian Louboutins - even round the kitchen, then there is no question. You should not even step outside the house without a bottle...almost as important as your mascara!! In fact for those of you that watch the totally fabulous Gok Wan....Brix Smith Start! A self proclaimed ambassador of bespoke perfume. Visit here for our handmade mens colognes. I promise to use it only to send you The Apothecary- The newsletter of www.aromatherapy-natural-products.com.